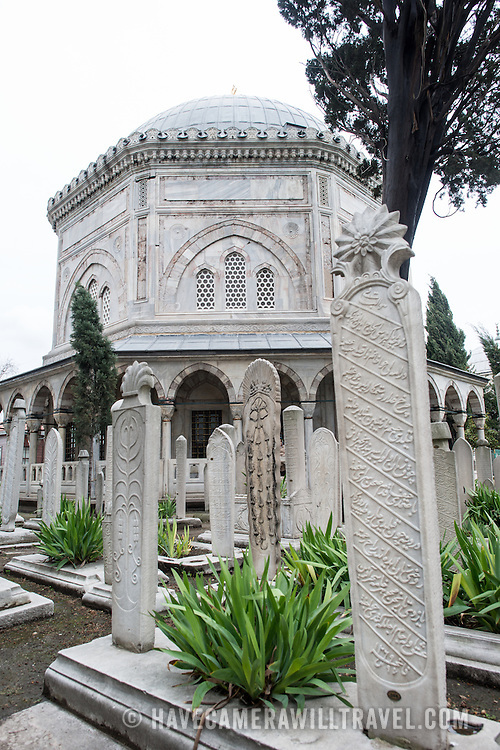 The tombs of Sultan Suleiman I, his wife Hürrem Sultan (Roxelana) and their daughter Mihrimah Sultan in the garden of Suleymaniye Mosque in Istanbul. Dedicated to Suleiman the Magnificent (or Suleiman I), the longest-reigning Ottoman Sultan (1520-1566), Süleymaniye Mosque stands prominently on Istanbul's Third Hill and is considered the city's most important mosque. It was completed in 1558.